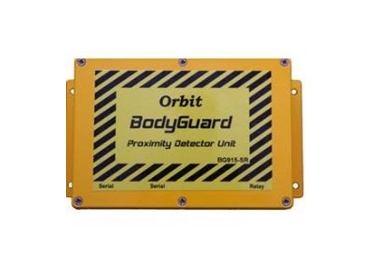 Orbit Communications offers the BodyGuard industrial proximity alarm system. This provides an ideal solution for warehouse applications. BodyGuard alarm system is suitable for forklifts and personnel working in close proximity to each other. Each year in Australia, there are about 600 or so accidents resulting in injury which are caused by forklifts. Whenever a BodyGuard detection unit enters the protection zone of another BodyGuard proximity alarm unit, an alarm warning and flashing strobe is activated. The alarm is deactivated when the object moves outside the protection zone. The typical proximity protection zone is user-programmable and range from around 3m to 30m.